Those boys can get feisty when they favour a good looking chick. Our girls are a mixed lot, they hail from Belgium, Japan and South America. 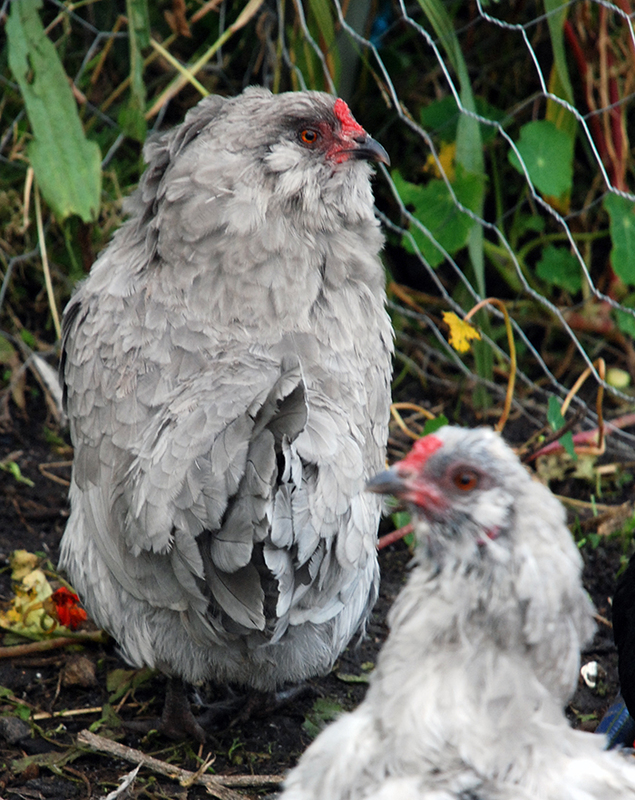 It just so happens that our rooster Reggie isn't very adventurous and prefers his own kind, lavender arucana. Only one of our hens meet the criteria. Being the favourite she has copped the wear of his claws on her back, leaving a trail of broken and missing feathers, a rooster track. Bantam size chicken saddle. Increase the size by between 50 - 100% for a full sized hen. Draw the above pattern on a piece of paper, adjusting the scale to suit your hen. This pattern fits a bantam hen. I suggest increasing the size by 50% for your average sized hen. Place a paper cut out of the pattern over your hens back and check the sizing. 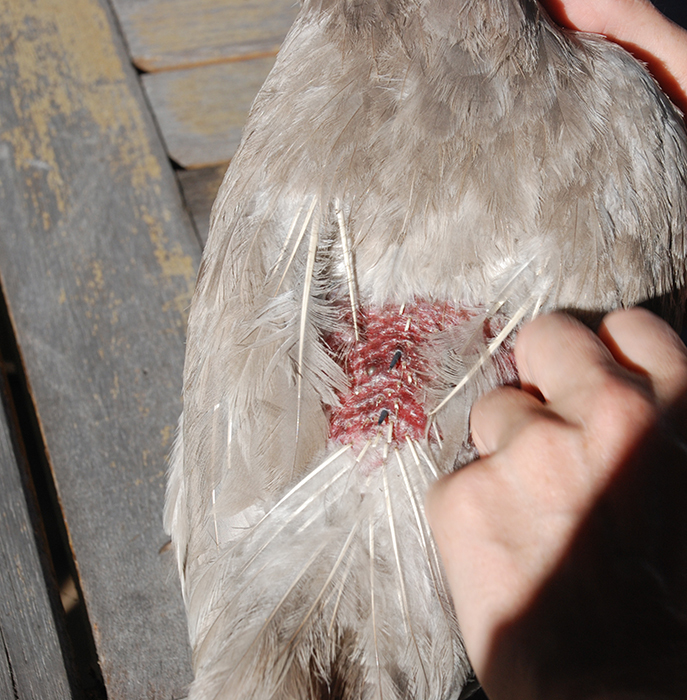 The top should sit between your hens wings, at the base of the neck, without interfering with their movement. The bottom should fit just above the tail feathers. The arcs should curve around the wing, allowing the saddle to sit flat on their back. Adjust the pattern as needed. Transfer the pattern to your material. 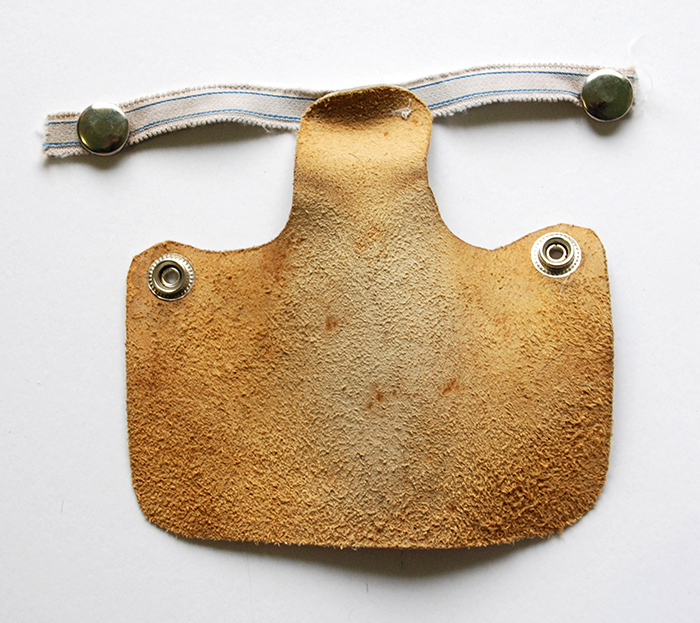 Cut out the leather, or alternatively layer two to three heavy pieces of fabric together and then sew around the edges. 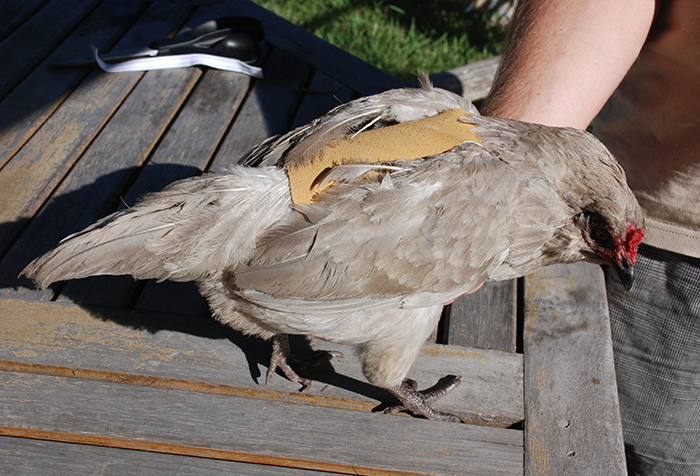 Cut the elastic to measure the same width as the saddle, with a little extra to allow for adjustment to fit your hen. Center it on the top of the saddle and sew in place. Try your saddle on the hen for size. 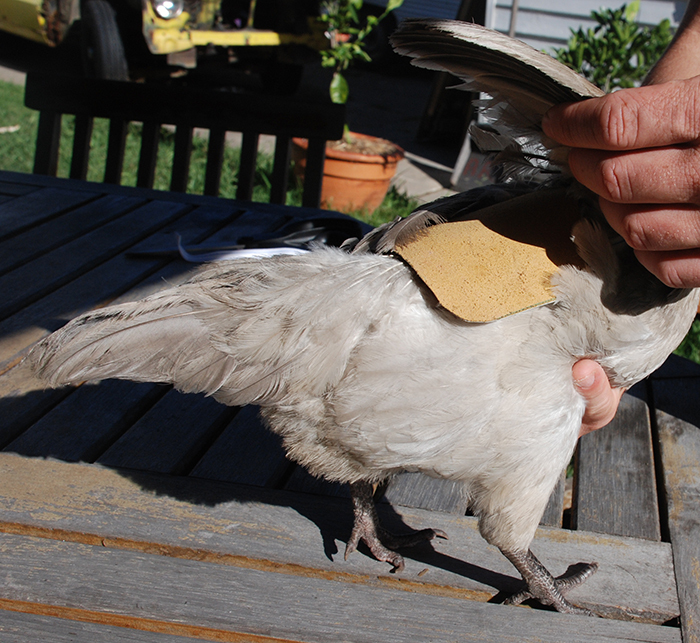 Wrap the elastic around the wings and measure where it meets the leather at a comfortable length. The elastic should be firm but not stretched when fitted, it merely allows for some give as the hen moves around. Mark the correct length with a pencil. 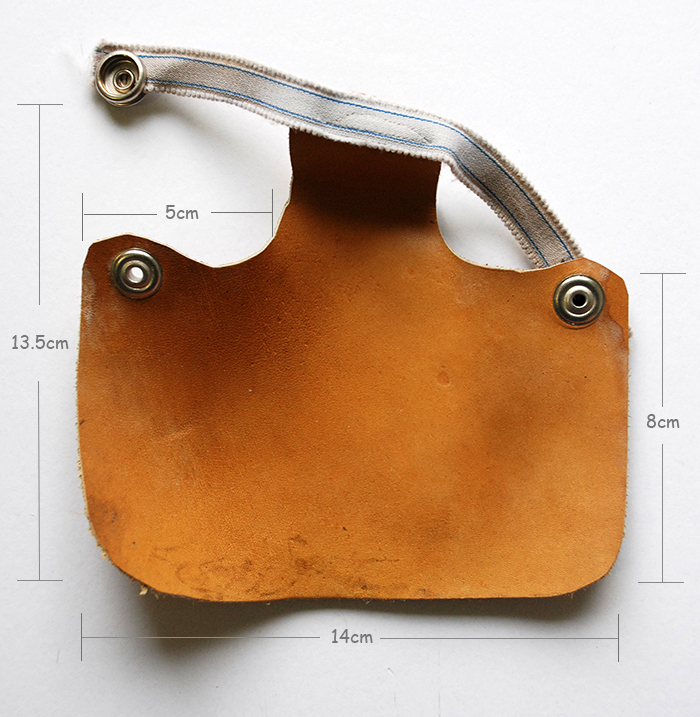 Attach the elastic at the pencil mark to the corners of the saddle with metal buttons using a punch tool. Your chicken saddle is now ready to wear! Dress your lady and watch as her feathers grow back. The chicken saddle should fit right across their back and sit under the wings to ensure a good coverage of their back.